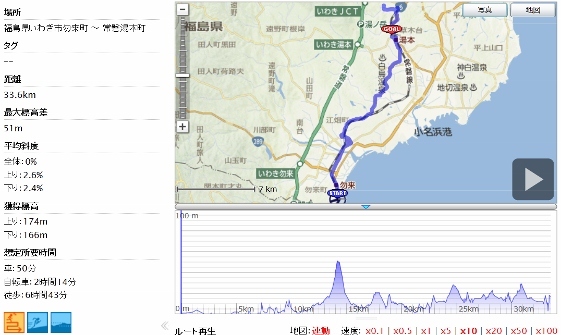 Today, I left Nakoso and pedaled to Iwaki-Yumoto Onsen via Shiramizu Amidado Hall. Since the weather forecast said it would start raining around noon, I started at 7 am. The main route was Route 56 and Route 6. 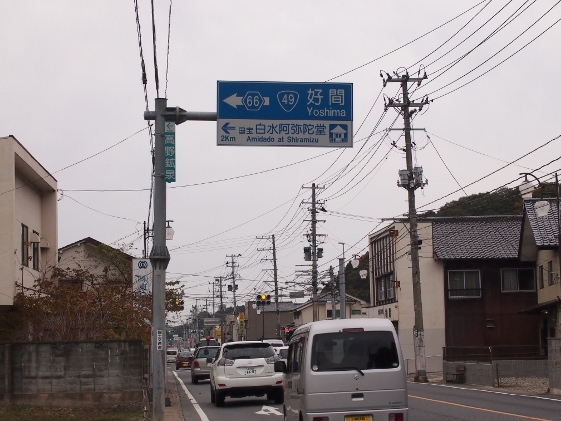 Between Nakoso and Iwaki-Yumoto I chose local Route 56 which goes along the JR Joban Line and had fewer ups and downs. Detail of the route was shown in the GPS log below. Turning left according to the guide sign along the Route 6 shown in the picture above, I could soon get to the Shiramizu Amidado Hall. 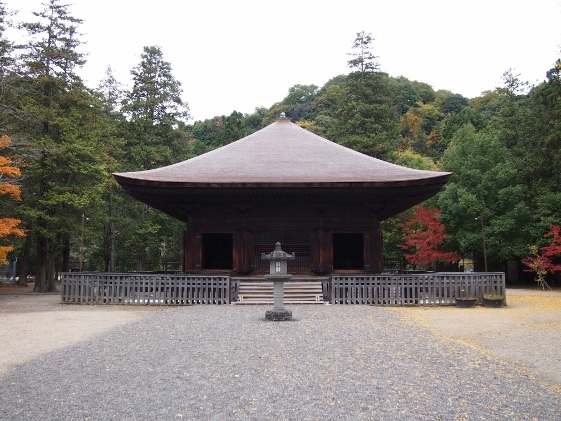 The first picture shows the Shiramizu Amidado Hall which had been constructed in the year 1160 during Heian Period and also had been designated as a National Treasure. 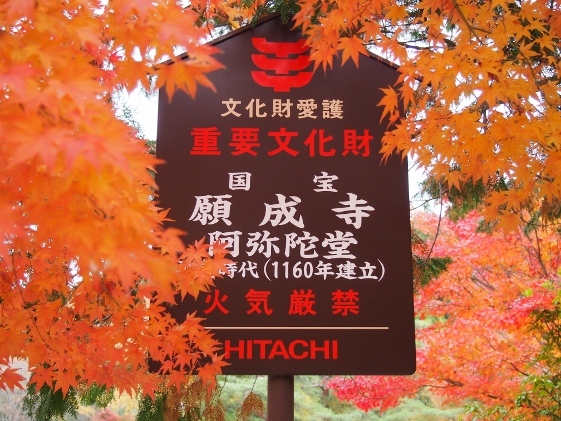 This was the best season of autumn red and yellow colors, and the second picture shows the contrast of red maple leaves and the Amidado Hall, and the third picture shows sign board which says National Treasure surrounded by red maple leaves. I believe this place is very worth visiting. 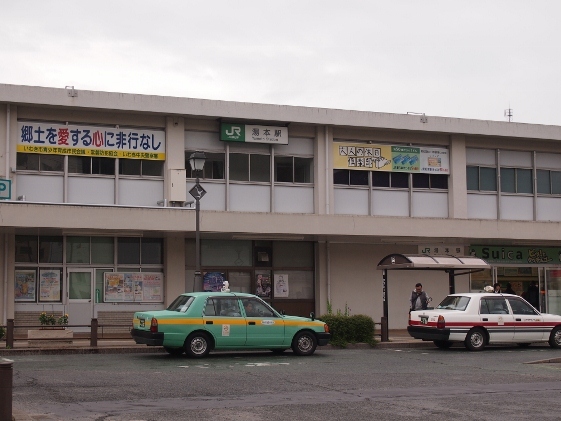 Then I returned to Iwaki-Yumoto and visited "Sahakonoyu" which was the hot spring facility operated by Iwaki City. The first picture shows the building and the second picture shows the entrance. The hot spring was very good with its sulfur spring flooding out of the bath with no artificial work. 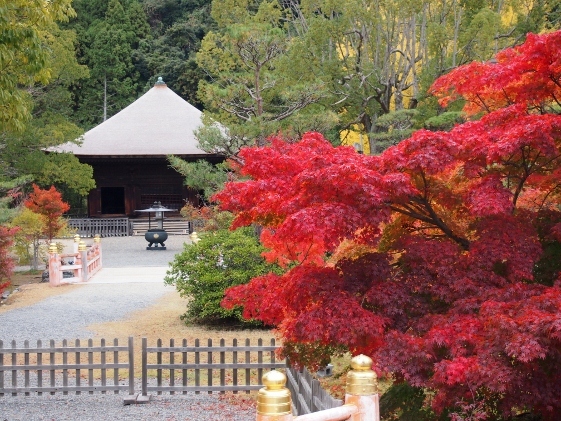 This hot spring was found in very ancient Heian Period. 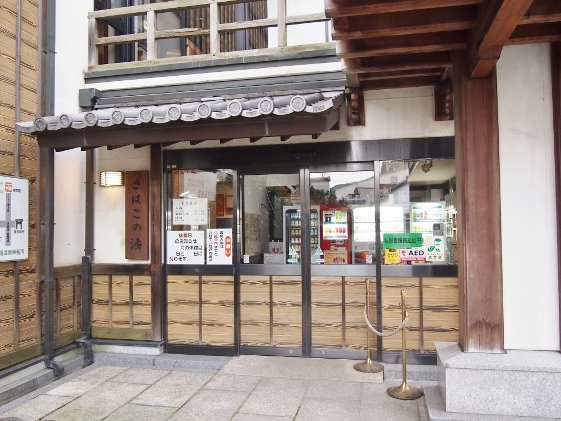 This Sahakonoyu was only about 5 minutes' walk from the Yumoto Station of the JR Joban Line, thus very convenient. 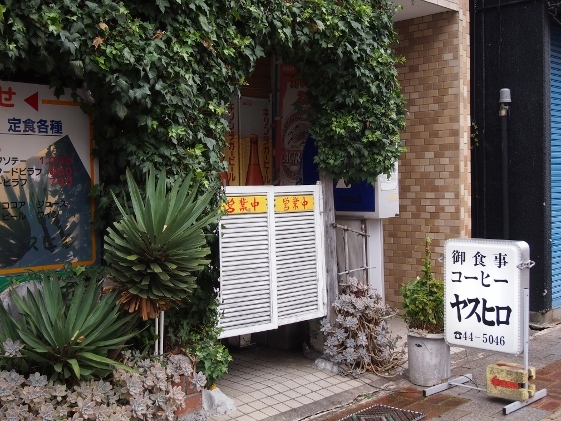 There was a good restaurant called "Yasuhiro" shown in the picture above in the halfway between Sahakonoyu and the Yumoto Station. 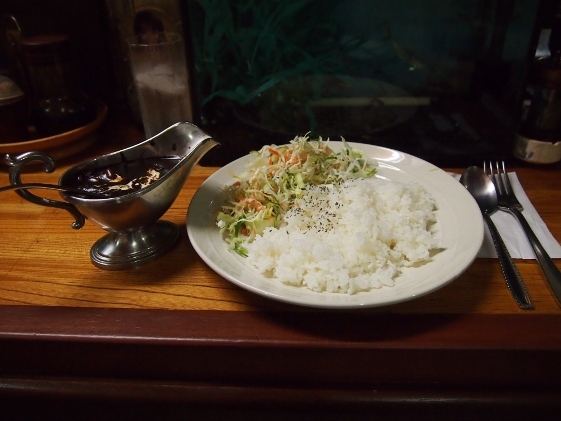 The Indian curry menu "Black Curry" shown in the second picture was very hot and delicious, with very reasonable price. The restaurant also had curry menu with the same curry sauce plus chicken cutlet, beef steak, etc. Since the master himself did chef, waiter, and everything, guests sometimes had to wait patiently for order when clouded. 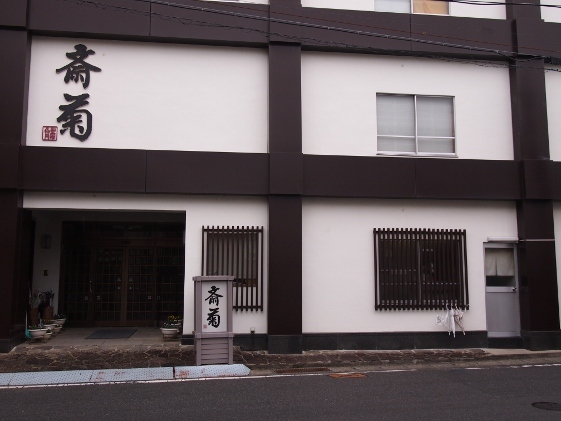 Today I stayed at Saikiku Hotel shown in the picture. 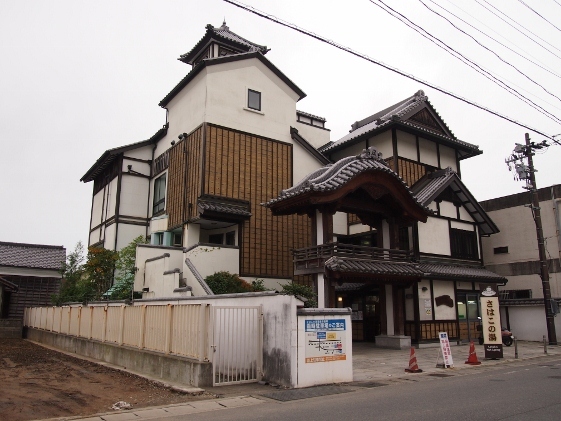 During the reconstruction period, they had very reasonable price plan. 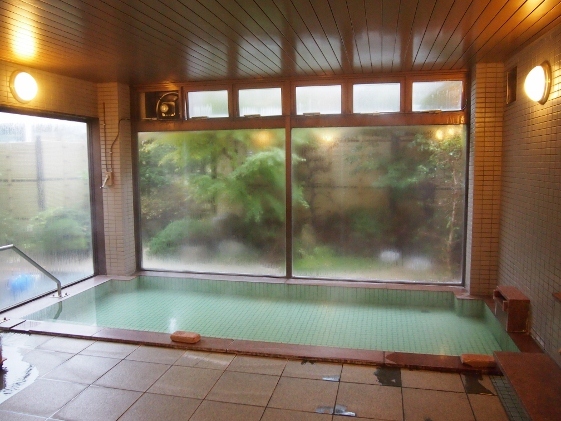 The hot spring of the hotel was also very good with real hot spring flooding out of the bath naturally. The source of the spring was the same as Sahakonoyu.